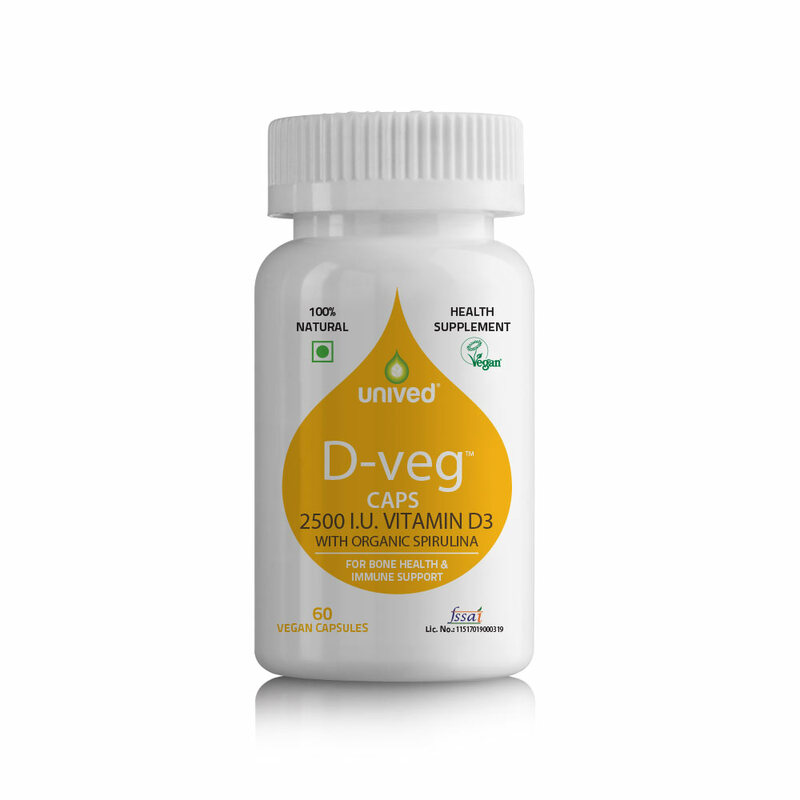 D-veg Caps are formulated with 2500 I.U. of vitamin D3 as Cholecalciferol and organic spirulina. It is a 100% vegan and natural. 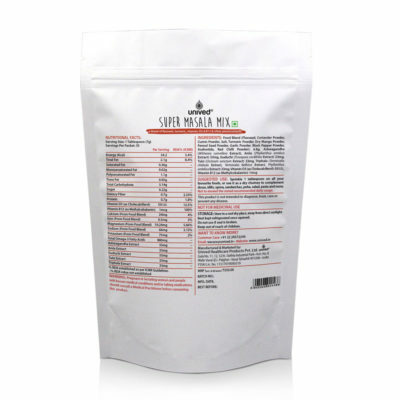 It supports bone, muscle, heart, dental, and immune health. D-veg Caps are suitable for vegans. Unived’s D-veg Caps are a high quality health supplement featuring vegan vitamin D3 derived from the only plant-based vegan source available today – Lichen – with powerful and potent super food, organic spirulina. D-veg helps you achieve optimum bone mineralization, strong muscles and better immune, mental, heart and dental health. 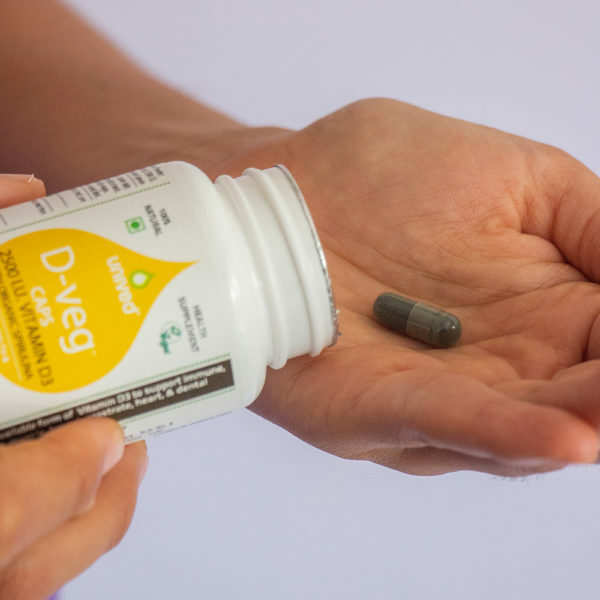 D-veg offers pure, unadulterated, non-GMO, vitamin D3 that is free of contaminants and synthetic additives. Each serving of D-veg contains 2500 I.U. of pure vitamin D3. 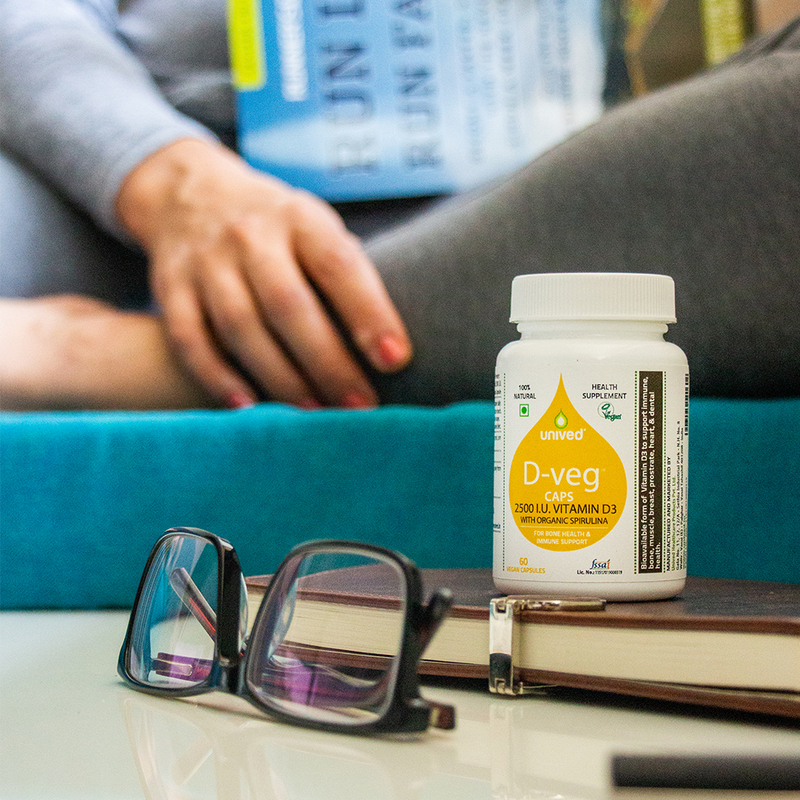 D-veg is 100% natural, vegetarian, and vegan. Vitamin D supplements maybe in the form of D2 (ergocalciferol) or D3 (cholecalciferol). Unived’s D-veg is made using 2500 I.U. of vegan vitamin D3, which readily binds with vitamin D receptor and effectively maximizes calcium absorption. Among the two chemically distinct forms of vitamin D, vitamin D3 is proven to be more potent as compared with vitamin D2. A study found the potency of vitamin D2 to be less than one-third that of vitamin D3. Vitamin D2 has less affinity for VDR (vitamin D receptor), which are present in most major organs and muscles. Further, it has a shorter half-life than vitamin D3. This means that, vitamin D3 stays in your body for a longer time whereas vitamin D2 is eliminated out of your body much sooner. D3 is approx. 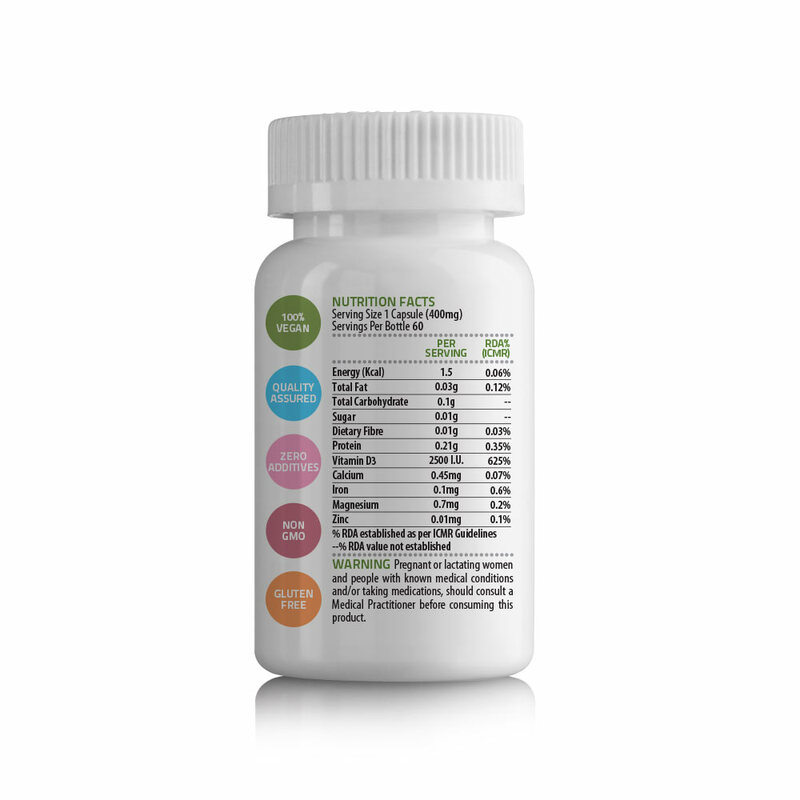 87 percent more potent in raising and maintaining vitamin D concentrations and produces 2 to 3-fold greater storage of vitamin D than D2. Vitamin D is a fat-soluble substance necessary for the smooth working of several of the body’s physiological functions. Though it is most popularly known for its important role in bone heath, research has now revealed its relevance in overall health, prevention and cure of various ailments. “Vitamin D is, without question, the miracle nutrient of the century.” Mike Adams, natural health researcher and author. Vitamin D has a unique functioning system as compared to other vitamins. In fact, it functions more like a hormone, impacting metabolic pathways, cellular functions, and the expression of myriad genes. Without adequate levels of vitamin D you are likely increasing your risk of diseases ranging from heart disease and Alzheimer’s to weak bones and diabetes. ‘Vitamin D3 is essential for life in higher animals.’ Anthony Norman D3 is the most natural form synthesized by human beings, when the sun’s UVB light strikes their skin. The synthesis takes places photochemically with the help of provitamin D, 7-dehydrocholesterol, present in the epidermis or skin. A complex series of transformations of the provitamin result in the generation of Vitamin D3. The molecular structure of vitamin D3 has a close semblance to that of steroid hormones – such as estradiol, cortisol, and aldosterone – and it is referred to by researchers as a secosteroid hormone. It is one of the foremost regulating factors for calcium homeostasis. In order to function within your body vitamin D3 is reduced to its metabolites including 1α, 25-dihydroxyvitamin D3 (or 1,25-vitamin D3 for brevity). The steroid hormone functions in sync with the vitamin D Receptors (VDR) found in almost every tissue type and cells in your body to bring out the optimum impact of vitamin D on your bodily functioning. Researchers reveal vitamin D3 or cholecalciferol to be substantially more effective than vitamin D2 or ergocalciferol. 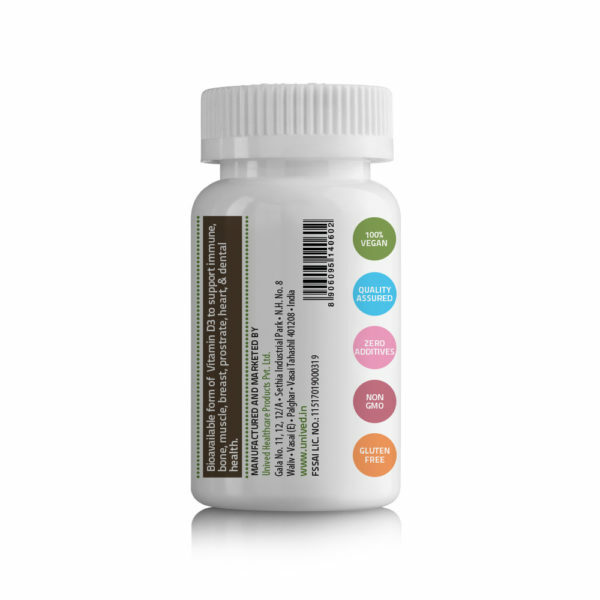 The test of potency is determined on the basis of their ability to improve the serum 25(OH) D concentrations – that determine the nutritional levels of vitamin D in your body. Vitamin D2 has less affinity for VDR (vitamin D receptor) and shorter shelf life than vitamin D3. Unived’s D-veg is made using 2500 I.U. of vitamin D3 with organic spirulina, which readily binds with vitamin D receptors and effectively maximises calcium absorption. Sunshine vitamin is a popular connotation for vitamin D and is commonly believed to be available to everyone in abundance through sunlight. Yet, vitamin D deficiency (VDD) is among the most common medical conditions in the world. In fact vitamin D deficiency is turning into a global epidemic with an estimated one billion people bearing insufficient levels. The time of day. Exposing your skin during the middle of the day produces more Vitamin D.
Your location. If you live closer to the equator, it is easier to produce vitamin D throughout the year. Your skin color. People with darker skin make lesser vitamin D as compared with pale skinned individuals. Darker skin possesses natural sun protection (melanin) and requires at least three to five times longer exposure to make the same amount of vitamin D as compared to a white skin tone. The more skin you expose the more vitamin D your body will produce. Change in latitude, season or time of day impacts the skin’s vitamin D production. Season dramatically influences the cutaneous production of vitamin D3. Very little vitamin D is produced in the skin during winter. Low vitamin D status, as is it largely understood, may occur despite “more than adequate” sun exposure. Another factor that hampers the production of vitamin D is the numerous measures people take, to protect the skin from the sun as sun exposure is purported to have harmful effects on your skin. Few people know that a sunscreen (SPF 8) lowers the skin’s capacity to produce vitamin D3 by more than 95%. There is very little awareness about the importance of vitamin D and what they can do to avoid the numerous deficiency associated disorders, including heart disease, cancer, and osteoporosis. 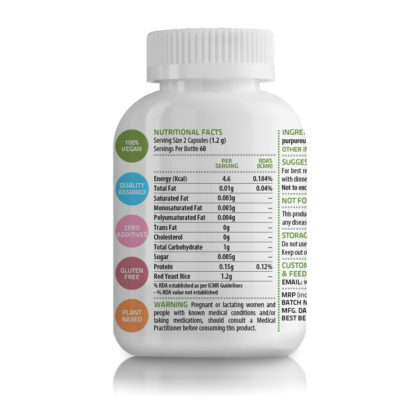 However, the largely unattended nutritious necessity of this vitamin is now coming to the fore since an increasing research reveals a paucity of this nutrient among a large population. India’s only natural cholesterol management supplement, Unived’s RYR is proven to increase HDL and lower LDL and triglyceride levels. 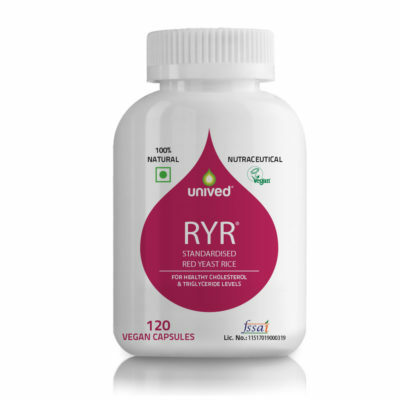 RYR offers 600mg pure vegetarian Red Yeast Rice per capsule. 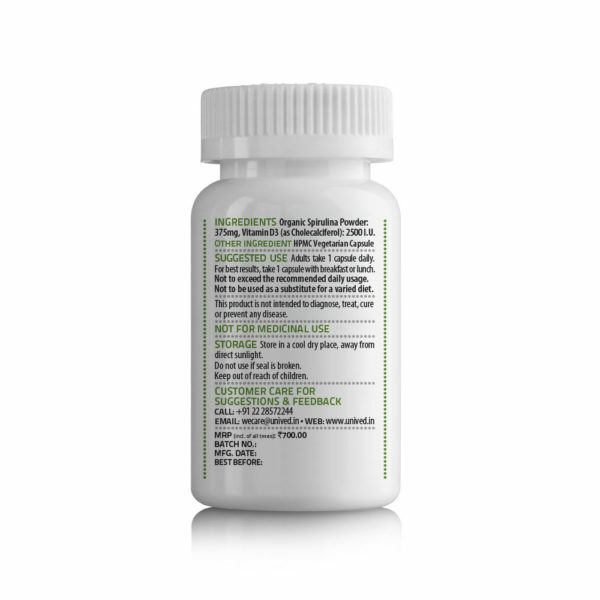 RYR is standardized to 0.4% monacolin K, the active ingredient proven to lower cholesterol. 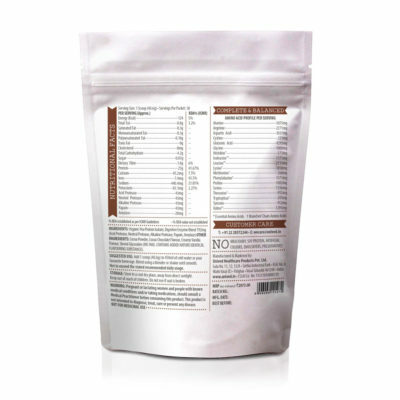 RYR is registered by the Vegan Society – UK, and is appropriate for Jains and vegans. 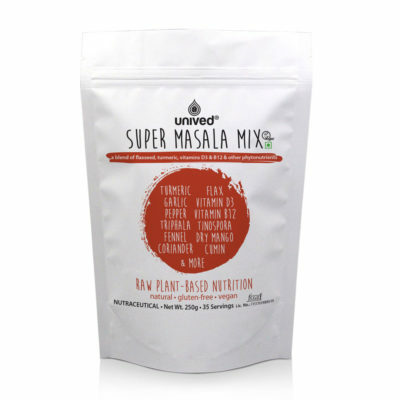 Super Masala Mix is a tasty blend of various spices, herbal extracts, and flaxseeds, and is meant to make your snacks tasty, healthy, and fun! 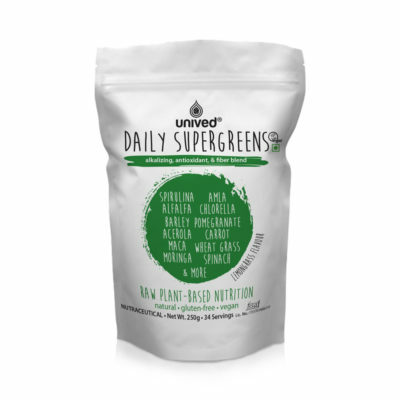 Unived’s Daily Supergreens powder is an alkalizing, antioxidant, and fiber rich blend of plant-based food ingredients, ideal to help you kick start your day! 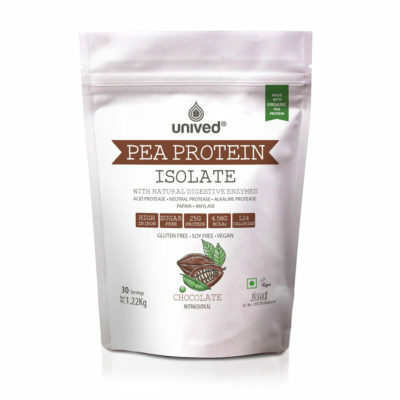 This non-GMO, sugar-free and preservative-free blend supports overall health and wellness, helps you maintain a strong immune system, and promotes detoxification. 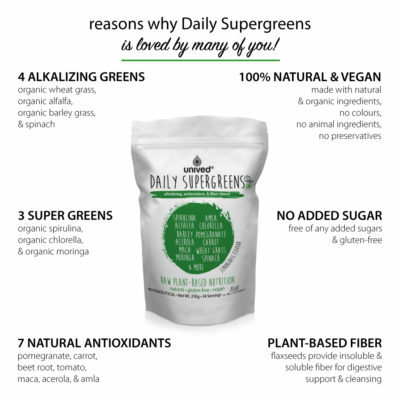 Daily Supergreens is suitable for vegetarians & vegans, and people of all ages. 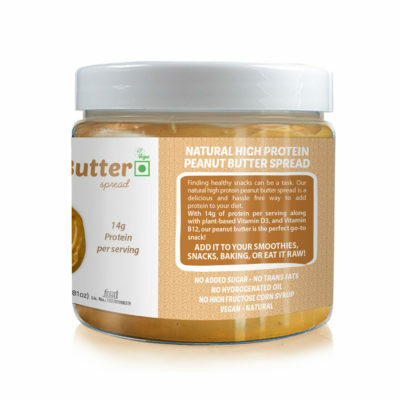 With 14 grams of plant-based protein and fortified with vegan vitamins B12 & D3, our high protein peanut butter is the perfect addition to a high protein diet! 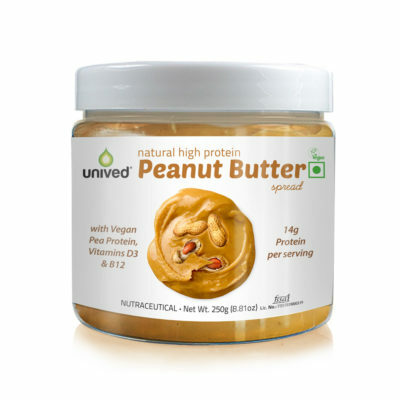 There are absolutely no trans fats, hydrogenated oil, or high fructose corn syrup in our PB. It’s 100% vegan, gluten-free and tasty!